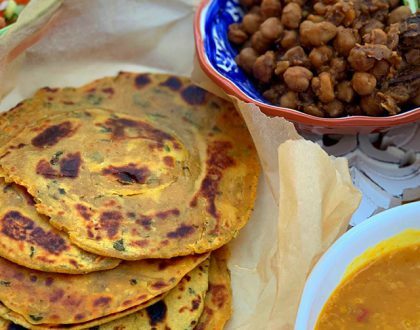 North Indian style recipe for Chana Dal also known as Bengal Gram that is cooked with some everyday spices and tempered with a typical Punjabi onion-tomato masala. 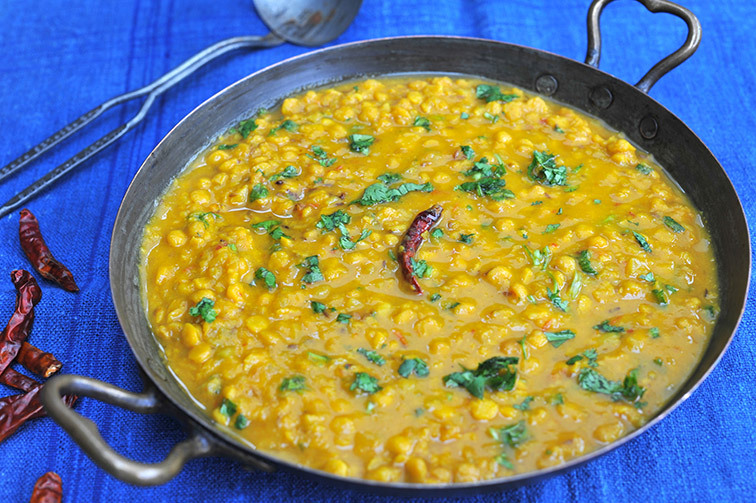 It is a healthy, delicious and simple dal recipe that is perfect served with rice or roti. Health Hack: Lentils are a power house of protein and also a very good source of cholesterol-lowering fiber. They add essential vitamins and minerals to the diet plus the fiber, folic acid, and potassium in lentils all support heart health. Wash the lentils in a few changes of cold water. 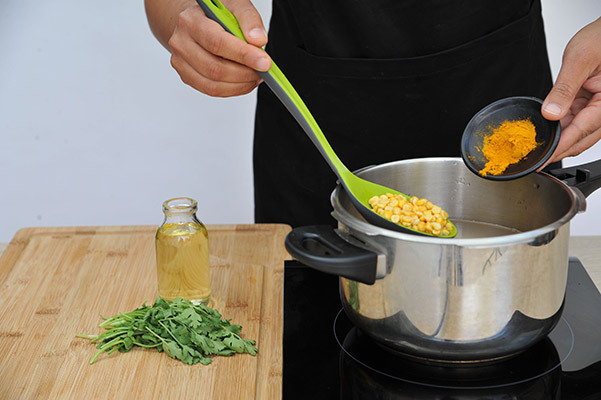 Soak in enough water for at least 30 minutes while preparing other ingredients. 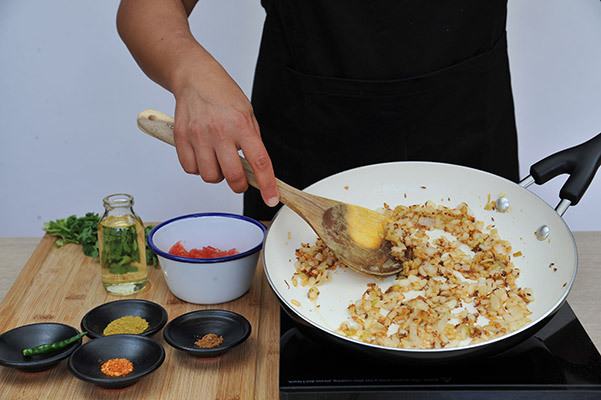 Allow more soaking time if cooking in an open pan. 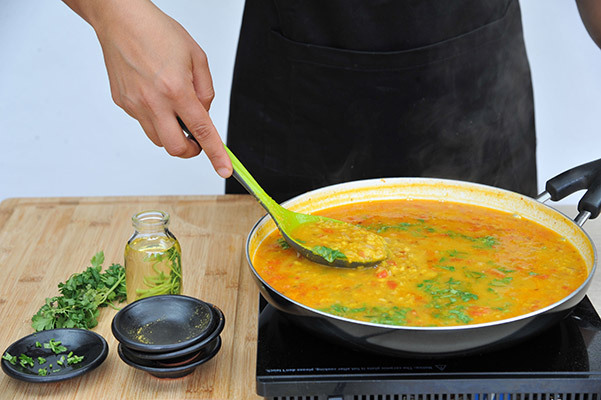 Place the lentils, salt and turmeric in a pressure cooker (or in a sauce pan). Add water and pressure cook the lentils for 8-10 minutes or more until dal is softened and well-cooked and then set aside. 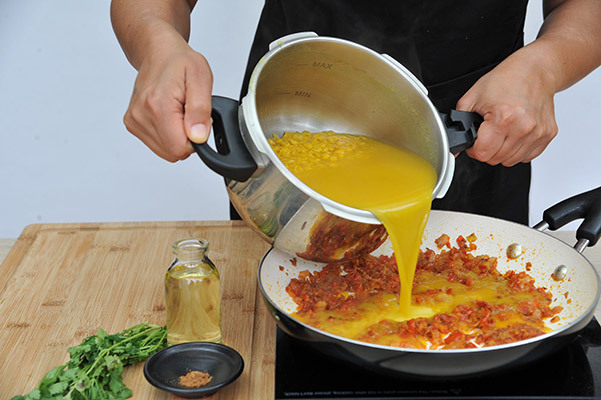 Heat ghee or oil in a separate pan for preparing the tempering. Add cumin seeds followed by onions and fry until the onions are light brown. Then add ginger-garlic paste and fry for another couple of minutes until onions are golden brown. This is an important step in making this dal as browning the onions will give a lot of flavor and taste to the dal. 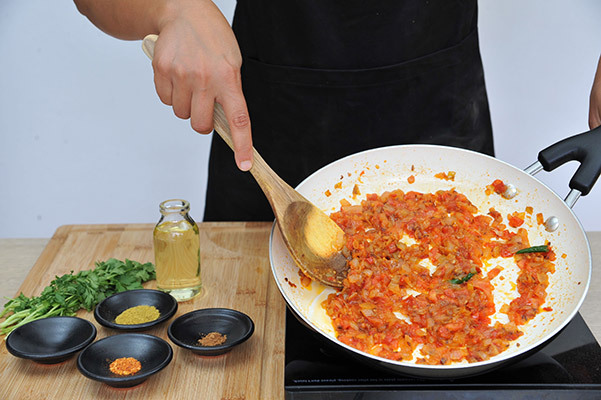 Add the tomatoes plus green chilli and fry again for a few minutes till the tomatoes become soft and start separating oil. Use the back of the spoon to break down the tomatoes. Finally add coriander and red chilli powder and mix well. 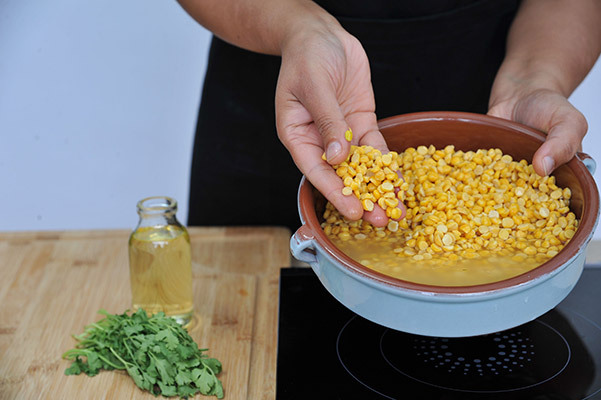 Now add this tempering to the cooked dal, mix well and add salt to taste. 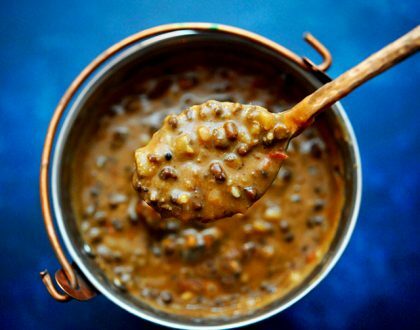 Simmer the dal on a low heat and if the dal is too thick then add some hot water to get the right consistency. These lentils take more time to cook compared to some other lentils. So, it is a good idea to soak them for at least 30 mins before cooking. 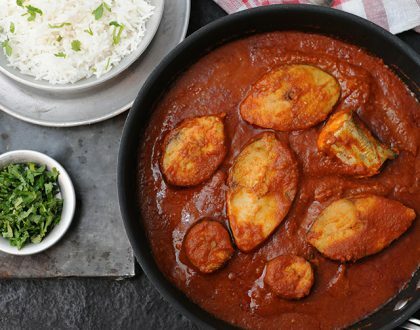 If cooking in an open pan, then soak for at least an hour and you will need more water to cook until the lentils soften.